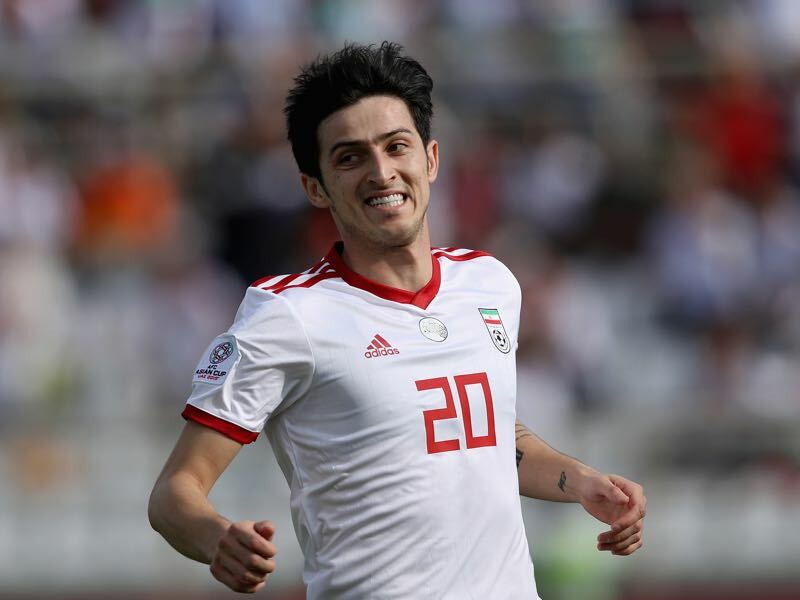 Rumours have accompanied the 24-year-old striker Sardar Azmoun throughout Iran’s 2019 Asian Cup campaign. The Iranian forward guided his national side to the semifinals were Japan eliminated Iran. Sardar Azmoun scored four goals to become joint second best striker of the tournament behind Qatari forward Almoez Abdulla. 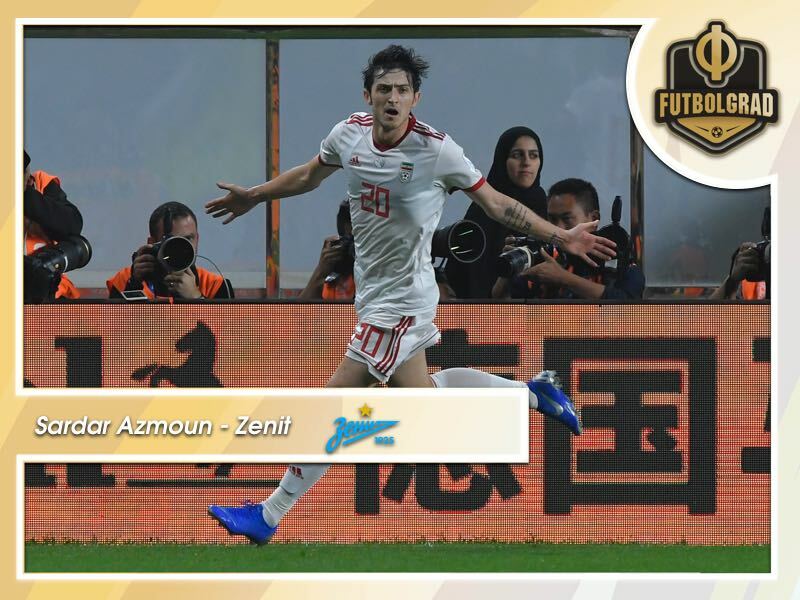 As a result, of an excellent tournament, Azmoun was targeted by several clubs in Western Europe and was also linked with a move to the Major League Soccer side Vancouver Whitecaps. Ultimately, his agent, however, was adamant that Sardar Azmoun would either stay in Russia or move to a sizeable European club to continue his development. Meanwhile, his club Rubin Kazan needed money to overcome financial problems caused by years of mismanagement that ultimately led to a ban from European competitions. Football players in Russia only pay the country’s flat income tax rate of 13% on their salaries. Money matters and with this, in mind it was always difficult to compete for other clubs when Zenit voiced their interest and got the deal done for €12 million. Furthermore, Zenit found themselves with plenty of cash to spend after they sold Leandro Paredes to Paris Saint-Germain for €55 million, in what was an excellent piece of business for Russia’s richest club. The money earned from Paredes took care of potential Financial Fair Play problems and also left enough to invest in the squad. Investment that has been needed given that Russia’s richest club had found themselves under pressure in the league thanks to a resurgent Krasnodar. Towards the back end of the first half of the season, Zenit struggled as the main striker Artem Dzyuba seemingly ran out of steam thanks to a lengthy World Cup campaign and Zenit having to start the season early in Europa League qualifying. On top of that Dzyuba’s backup Aleksandr Kokorin was involved in a major scandal that saw the forward arrested and in jail since the fall. Hence, Zenit were desperate to strengthen their forward line with a player that could not just replace Artem Dzyuba should he go down with an injury but also play with the striker. Although like Dzyuba Sardar Azmoun is a striker with an immense aerial presence — he has been compared with former German striker Karl-Heinz Riedle in the past. Furthermore, Azmoun can also play a more dynamic attacking role next to a physical striker, which would allow head coach Sergey Semak to play Dzyuba and Azmoun together in a 3-4-3/3-5-2/4-2-3-1 setup. Signed for €12 million Sardar Azmoun scored four goals and four assists in 14 games for Rubin Kazan this season. He added another goal in three Russian Cup games. Including the Asian Cup Sardar Azmoun has managed to complete 41.4% of his 58.1 actions per 90 minutes. On average he has scored 0.37 goals and 0.21 assists per game this season. As suggested above Azmoun is excellent in the air winning 43.7% of his on average 8.86 aerial duels — in comparison, Dzyuba has won 41.8% of his on average 12.99 aerial duels. Overall, Dzyuba has better numbers than Azmoun this season. The Russian national team striker has won more offensive duels, had more progressive runs and has been a more dangerous goalscorer. But Azmoun, despite playing further back in the field, leads Dzyuba with touches inside the penalty box. That statistic, in particular, is fascinating given that Azmoun, according to the Wyscout heatmap likes to play further back than Dzyuba. While Dzyuba mostly spends time inside the penalty box, Azmoun spends most of the 90 minutes just on the edge of the box. In fact, Sardar Azmoun likes to spend time in that area of the pitch to capitalise from his tantalizing speed. One example is his goal against China. In that game he received a ball of an extended header just outside the box and without breaking stride took the ball on and hammered the ball in to make it 1-0. It is that speed and ability to quickly break forward that made Sardar Azmoun a perfect player for his former head coach Kurban Berdyev at Rostov and Rubin. Berdyev loves quick counter-attacking football, and Azmoun is the perfect weapon for that tactic. With this in mind, Azmoun will be a great complimentary player for an already impressive Zenit attack and should work well in concert with Russian forward Artem Dzyuba.